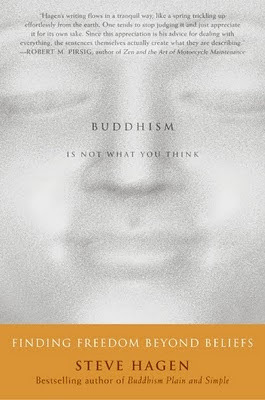 Here are some excerpts from the book 'Buddhism Is Not What You Think' by Zen teacher Steve Hagen. Thusness and I think the book is very well written and very complete. Highly recommended. Thusness noted that many practitioners stop at the phase of non-dual, few penetrates in-depth and see clearly the meaning of Anatta and Dependent Origination. However Steve Hagen is able to cover all the insights that Thusness wrote, and be able to link One Mind to Emptiness. Not many people know how to link One Mind to Emptiness. That is, All is Mind due to its empty and luminous essence. All is talking about this moment of manifestation, yet many cling to Oneness and cannot see the D.O. nature. As Thusness wrote to Longchen previously, This is also the understanding of why Everything is the One Reality incorporating causes, conditions and luminosity of our Empty nature as One and inseparable. Everything as the One Reality should never be understood from a dualistic/inherent standpoint. 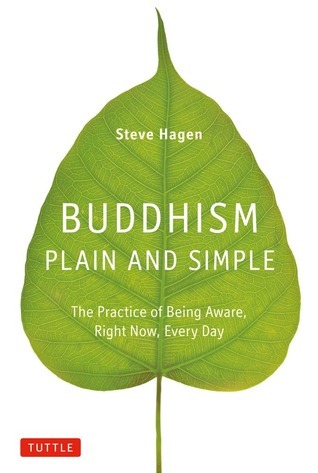 Steve Hagen is one of the few who are able to capture the essence of Buddhism and explain it eloquently to his readers, urging them to SEE (and not believe or conceptualize) the truth in direct perception. I have collected three of his books which are all very good, Buddhism Is Not What You Think: Finding Freedom Beyond Beliefs; Meditation Now or Never; Buddhism Plain & Simple. Buddhism Plain & Simple is a more simplified version which is more suitable for beginners as an introduction, Meditation Now or Never is more on meditation practice, while Buddhism Is Not What You Think is a deeper, more in-depth exploration of the teaching. STEVE HAGEN: Buddhism Is Not What You Think: Finding Freedom Beyond Beliefs; Meditation Now or Never; Buddhism Plain & Simple; and How the World Can Be the Way It Is: An Inquiry for the New Millennium into Science, Philosophy, and Perception. These are all outstanding and very highly recommended books, especially Buddhism Is Not What You Think. Steve is one of the clearest and most articulate living Zen teachers I've come across. I recommend him for his subtle understanding of emptiness, impermanence, and true nonduality, and also for his intelligent approach to meditation and "practice." Steve is excellent at clarifying the distinction between conceptual thought and direct perception or awareness. He is excellent at exposing conceptual reifications, especially the most subtle and ubiquitous ones, which are so easily mistaken for reality. He sheds light on the thinking mind's habitual tendency to try to grasp reality conceptually, and then to mistake the map for the territory. I especially appreciate how Steve talks about emptiness, not as a formless, nihilistic void or a big empty space, but rather, as thorough-going flux, the impermanence that "is so complete, so thorough, that nothing is formed in the first place to be impermanent." This is the Zen understanding of emptiness or no-self. Emptiness is everything, as it is -- the seamless wholeness in which there really are no separate, substantial, persisting, independent "things" to be found, except as ideas in conceptual thought. Steve teaches formal Zen practice in a pretty bare, plain, stripped-down way, but it is still rigorous and ritualized. I'm not drawn anymore to this kind of strict, formal Zen practice, so some aspects of Steve's approach don't resonate here, but the essential core of what he says is outstanding. His book on meditation, Meditation Now or Never, has some chapters in it that are absolutely superb, and it's not just about meditation, it's about life. (Again, I don't resonate with the insistence on formal practice or with the necessity of certain forms, postures and hand positions, but if you can take that part lightly as simply suggestions and possibilities, then the essence of what he's saying about meditation and living life is right on the mark -- see especially chapters 17, 28, 33, 34, 10 and 2 in this book -- beautiful!). Steve is truly humble, down to earth, articulate, bright and very awake. A Zen priest in the lineage of Dainin Katagiri and a former science researcher, Steve heads the Dharma Field Meditation and Learning Center in Minneapolis, and if you're looking for a Zen center, this is a truly wonderful place. Norm Randolph, who also teaches there, is also wonderful. Books, tapes, excellent classes on CD, a newsletter that frequently includes articles by Steve and Norm, talks on-line and more information here. Very highly recommended. ...All things are like this. Indeed, it's impossible for any conceived object not to be like this. Nothing stands on its own. Nothing has its own being. Each thing is inseparable from, and inter-identical with, all that it's not. Thus perception is an objectless Awareness since, when we just see, what is truly seen involves not objects but the Whole. Nothing actually forms as an object; nothing stands apart. No matter where we look, there's just this. Here's another example of a foolish-sounding Zen question that is actually an expression of just seeing: What is the sound of one hand clapping? When we conceive of a hand, it's just a single, isolated hand, and we're puzzled at the question. To clap, we need two hands. But this is approaching the question in our ordinary way - that is, conceptually. With naked perception however, we see that a hand is not a separate and distinct hand. Everything is included with it. One hand clapping is the sound of two hands clapping is the sound of ten hands clapping. It's the sound before and after two hands clap. It's also the sound before and after one hand claps. Conceptually, we think that sound is sound and silence is silence. The two seem neatly separated and distinct - in fact, opposite of each other. But this is only how we think, how we conceptualize. This is not how Reality is perceived, before we put everything into neat, nicely labelled (but deceptive) little packages. We think there only has to be sound for there to be sound. We overlook that there must also be silence for there to be sound. And because of sound, there is silence. Were there no sound, how could there be silence? Before you strike a bell, a sound is already here. After you strike the bell, the sound is here. When the sound fades and dies away, the sound is still here. The sound is not just the sound but the silence, too, And the silence is the sound. This is what is actually perceived before we parse everything out into this and that, into "myself" and "what I hear." The sound of the bell is inseparable from everything that came before and that will come after as well as from everything that appears now. This includes your eardrum, which vibrates in response to it. It includes the air, which pulses with varying waves of pressure in response to it. It includes the stick that strikes the bell. It includes the metallurgists, past and present, and those who learned to extract metal from ore and those who fashioned the bell. And it includes that ancient furnace, that supernova obliterated long ago in which this metal formed. .....What Nagarjuna is pointing to is that believing things are impermanent involves a contradiction. First we posit separate, persisting things (in effect, absolute objects); and then we refer to them as impermanent (that is relative). What we fail to see is that we are still holding to a view of substance. We don't really appreciate the thoroughgoing nature of change, the thorough-going nature of selflessness. We don't really appreciate the thoroughgoing nature of change, the thorough-going nature of selflessness. Nagarjuna makes it abundantly clear that impermanence (the relative) is total, complete, thoroughgoing, Absolute. It's not that the universe is made up of innumerable objects in flux. There's Only flux. Nothing is (or can be) riding along in the flux, like a cork in a stream; nothing actually arises or passes away. There's only stream. "The Song of the Jewel Mirror Awareness," a poem by the great Chinese Zen teacher Tung-shan, speaks of the very same Awareness that the Buddha pointed to. This image of a jewel mirror was used as a way to express the source from which all things issue. All the myriad things, thoughts, and feelings we experience appear like images in a mirror: vivid yet insubstantial. The ungraspable mirror is what's Real, while the seemingly isolated things that appear in it are not. Consider for example, the simple act of smelling a rose. We see the rose, feel the rose, bring it close, breathe in through our nose. We "smell the rose," as we say, though this refers more to how we conceptualize our experience than it does to what is actually experienced. To say we smell a fragrance would be closer to the actual experience. But where does the act of smelling a fragrance takes place? If we attend carefully, we can see that all of our usual accounts of the experience start to break down. Is the fragrance in the rose? If it was, how could you smell it? You're here while the rose is "out there" somewhere. On the other hand, if the rose were removed, you surely wouldn't smell the fragrance. But if you were removed - or if the air in between you and the rose were removed - you also wouldn't smell it. So is the fragrance in the rose? Is it in your nose? Is it in the air in between? Is it in the air if no one is around to smell it? If so, how could we tell? Is the fragrance in your brain, then? And if it's in your brain, then why is the rose necessary at all? Ultimately, the simple act of "smelling a rose" - or any other act involving a subject and object - becomes impossible to pin down and utterly insubstantial. Gradually, however, we can begin to appreciate what the experience of smelling a rose actually entails. It's of the nature of the mirror itself - that is, that the source of all experience is Mind. As such, the act of smelling - or seeing or hearing or touching or thinking - literally has no location. This non-locality is the very essence of Mind. With the two types of views there are two kinds of minds. As human beings, we all have what we could call ordinary minds - the mind that you've always assumed you've had. It's a calculating mind, a discriminating mind, a fragmented mind. It's the mind of ordinary consciousness, the mind of self and other. We generally think of it as "my mind." But there's another mind that is unborn, ungrown, and unconditioned. Unlike "your mind," it is unbound, for there is nothing beyond it. To this Mind, there is no "other mind." This Mind is nothing other than the Whole. It's simply thus, the fabric of the world itself - the ongoing arising and falling away that are matter, energy and events. All buddhas and ordinary people are just One Mind... This Mind is beyond all measurements, names, oppositions: this very being is It; as soon as you stir your mind you turn away from It. This Mind is self-evident - it's always switched on, so to speak. We can - and, in fact, we do - see It in every moment. If we would refrain from stirring our minds (rest our frontal lobes, as my Zen teacher used to say) and let our conceptualising die down, like the ripples on a pond after the stirring wind has ceased, we would realise - we would know Mind directly. Ultimate Truth, on the other hand, is direct perception. And what is directly perceived (as opposed to conceive) is that no separate, individualised things exist as such. There's nothing to be experienced but this seamless, thoroughgoing relativity and flux. In other words, there are no particulars, but only thus. When the Buddha spoke of individuals, he often used a different term: "stream." Imagine a stream flowing-eonstantly moving and changing, always different from one moment to the next. Most of us see ourselves as corks floating in a stream, persisting things moving along in the stream of time. But this is yet another frozen view. According to this view, everything in the stream changes except the cork. While we generally admit to changes in our body, our mind, our thoughts, our feelings, our understandings, and our beliefs, we still believe, "I myself don't change. I'm still me. I'm an unchanging cork in an ever-changing stream." This is precisely what we believe the self to be-something that doesn't change. The fact is, however, that there are no corks in the stream. There is only stream. What we conceptualize as "cork" is also stream. We are like music. Music, after all, is a type of stream. Music exists only in constant flow and flux and change. Once the movement stops, the music is no more. It exists not as a particular thing, but as pure coming and going with no thing that comes or goes. Look at this carefully. If this is true-how a stream exists, how music exists, and how we exist-see how it is that when we insert the notion of "I" we've posited some little, solid entity that floats along, not as stream, but like a cork in a stream. We see ourselves as solid corks, not as the actual stream we are. If we are the stream, what is it that experiences the flux, the flow, the change? The Buddha saw that there is no particular thing that is having an experience. There is experience, but no experiencer. There is perception, but no perceiver. There is consciousness, but no self that can be located or identified. Thanks for this post and the book recommendation. 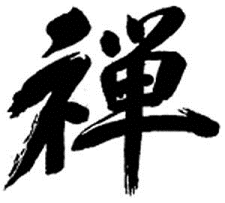 Its true that the non-dualism teachings are monism, unlike the teachings of Interdependent Origination and emptiness. It would be good if the monism movement could cognize interdependent origination and emptiness, this place and the next would be much more freeing as the belief in inherent identity would be eradicated and hence there would only be freedom.